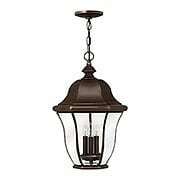 Dignified, proportioned and timeless in style, the Manor House series is Colonial Revival lighting at its best. 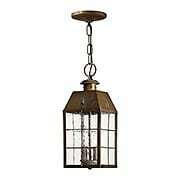 With it's shapely finial and dramatic pendant arm, this large lantern makes a bold period statement. Clear beveled glass adds a sparkling touch. 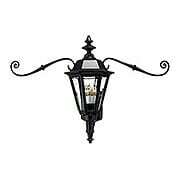 Dignified, proportioned and timeless in style, the Manor House series is Colonial Revival lighting at its best. 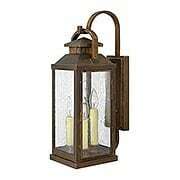 With it's shapely finials and sparkling beveled glass, this simple lantern strikes the perfect period note. 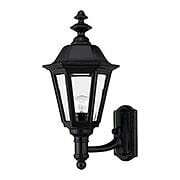 Made of weather-resistant cast aluminum. 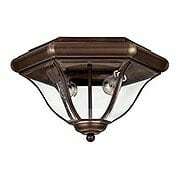 Dignified, proportioned and timeless in style, the Manor House series is Colonial Revival lighting at its best. 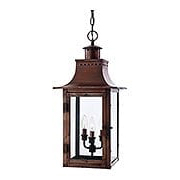 With it's shapely finial and dramatic pendant arm, this large wall-mounted lantern makes a bold period statement. Clear beveled glass adds a sparkling touch. 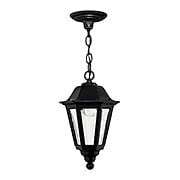 Dignified, proportioned and timeless in style, the Manor House series is Colonial Revival lighting at its best. 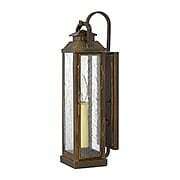 With it's shapely finial and dramatic scrolled arms, this large lantern makes a bold period statement. Clear beveled glass adds a sparkling touch. 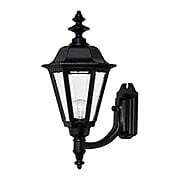 Dignified, proportioned and timeless in style, the Manor House series is Colonial Revival lighting at its best. 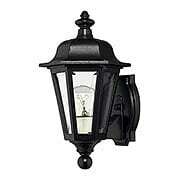 With its shapely finial and pedimented back plate, this medium-sized lantern makes a bold period statement. Clear beveled glass adds a sparkling touch. 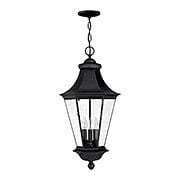 Dignified, proportioned and timeless in style, the Manor House series is Colonial Revival lighting at its best. With it's shapely finial and dramatic pendant arm, this extra large lantern makes a bold period statement. Clear beveled glass adds a sparkling touch. Tried and true classical styling and clear beveled glass make the Camelot Small Porch Lantern a fitting choice for Federal or Colonial-Revival homes. 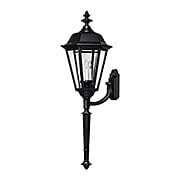 Made of weather-resistant cast aluminum with a durable black-powder coating. Tried and true classical styling and clear beveled glass make the Camelot Hanging Porch Lantern a fitting choice for Federal or Colonial-Revival homes. 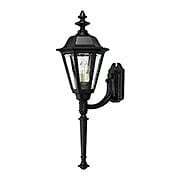 Made of weather-resistant cast aluminum with a durable black-powder coating. Tried and true classical styling and clear beveled glass make the Camelot Large Porch Lantern a fitting choice for Federal or Colonial-Revival homes. 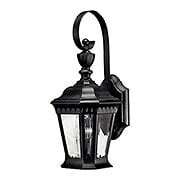 Made of weather-resistant cast aluminum with a durable black-powder coating. 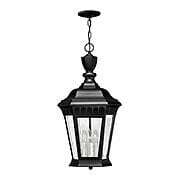 Dignified, proportioned and timeless in style, the Manor House series is Colonial Revival lighting at its best. With it's shapely finial and cap, this compact lantern makes a bold period statement. Clear beveled glass adds a sparkling touch. Recalling the simple Colonial lighting of houses along the New England shore, the Cape Cod Porch Light possesses a distinctly nautical charm. 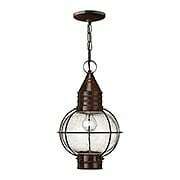 It is hand made from solid brass, with clear, seedy glass and a rustic, bronze finish. 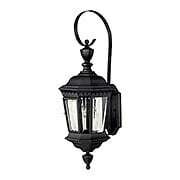 Recalling the simple Colonial lighting of houses along the New England shore, the Cape Cod Hanging Porch Light possesses a distinctly nautical charm. 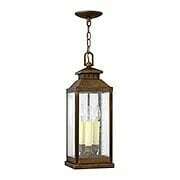 It is hand made from solid brass, with clear, seedy glass and a rustic, bronze finish. Recalling the simple colonial lighting of houses along the New England shore, this Cape Cod ceiling light possesses a distinctly nautical charm. It's hand made from solid brass, with clear, seedy glass and a rustic bronze finish. Recalling the simple colonial lighting of houses along the New England shore, this large Cape Cod sconce possesses a distinctly nautical charm. It's hand made from solid brass, with clear, seedy glass and a rustic bronze finish. Recalling the simple colonial lighting of houses along the New England shore, this small Cape Cod sconce possesses a distinctly nautical charm. It's hand made from solid brass, with clear, seedy glass and a rustic bronze finish. Gently curved and beveled glass gives the Monticello entry light a distinctive look. 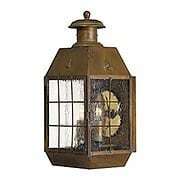 Made of solid brass with a coppery bronze finish, this colonial revival lantern works with every traditional home style. UL damp rated. Gently curved and beveled glass gives the Monticello entry light a distinctive look. 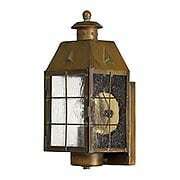 Made of solid brass with a coppery bronze finish, this colonial revival lantern works with every traditional home style. UL wet rated. 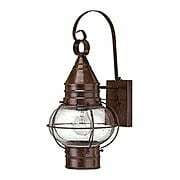 Like the island for which it is named, the Nantucket porch lantern possesses a simple and rugged beauty. Hand made from solid brass, it's aged and distressed to replicate the weathering forces of nature. Panels of rough & seedy glass enhance the authentic colonial character. 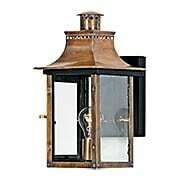 Like the island for which it is named, this large Nantucket porch lantern possesses a simple and rugged beauty. Hand made from solid brass, it's aged and distressed to replicate the weathering forces of nature. Panels of rough & seedy glass enhance the authentic colonial character. 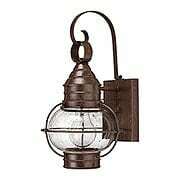 Like the island for which it is named, this small Nantucket porch lantern possesses a simple and rugged beauty. Hand made from solid brass, it's aged and distressed to replicate the weathering forces of nature. Panels of rough & seedy glass enhance the authentic colonial character. 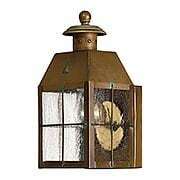 Art Deco meets Colonial Revival in this striking entry light. With its bold, yet classic lines the Senator series is ideal for traditionally styled homes of the 1930s and 40s. Manufactured in brass with cast aluminum accents and finished a rich, satin black. UL damp rated. 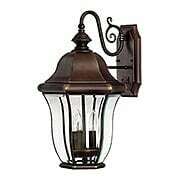 Colonial styling, tried and true, makes the Revere 2-Light Entry Lantern a perfect choice for Early-American homes. Hand-made from solid brass, each fixture is antiqued to a weathered-bronze finish. Faux wax candles and clear, bubbly glass complete the period look. 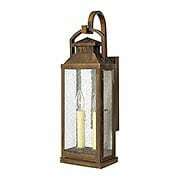 Colonial styling, tried and true, makes the Revere Large Entry Lantern a perfect choice for Early-American homes. Hand-made from solid brass, each fixture is antiqued to a weathered-bronze finish. Faux wax candles and clear, bubbly glass complete the period look. Colonial styling, tried and true, makes the Revere Collection a perfect choice for Early American homes. Hand-made from solid brass, each fixture is antiqued to a weathered bronze finish. Faux wax candles and clear, bubbly glass complete the period look. 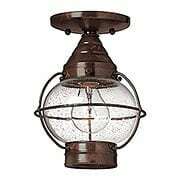 The Chalmers Large Hanging Lantern gives you the historic look of gas lighting without the requirement of a propane feed. Inspired by the charming residential lanterns of Charleston and New Orleans, these authentic fixtures are crafted from solid copper, hand-riveted and antiqued. Beautifully designed and detailed, they feature a pagoda-style roof, aged copper candle covers, and a hinged front panel (making it easy to change the light bulbs). Please note: the Aged-Brass finish ages gracefully over time into a beautiful natural patina. 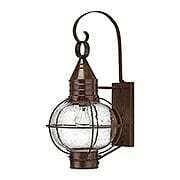 The Chalmers Small Wall Lantern gives you the historic look of gas lighting without the requirement of a propane feed. Inspired by the charming residential lanterns of Charleston and New Orleans, these authentic fixtures are crafted from solid copper, hand-riveted and antiqued. Beautifully designed and detailed, they feature a pagoda-style roof, aged copper candle covers, and a hinged side panel (making it easy to change the light bulb). Please note: the Aged-Brass finish ages gracefully over time into a beautiful natural patina.